Parkinson's disease is a chronic and progressive neurological disorder caused by the degeneration of neurons in the central nervous system. The degeneration leads to a shortage of the brain-signaling chemical or neurotransmitters called dopamine (responsible for the pigmentation of neurons), causing the movement impairments that characterize the disease. Pathological studies indicate that the loss of the pigmented nerve cells, of which there are some 4,000 in the Substantia nigra, causes Parkinson's disease. Also, when dopamine starts depleting, various other areas in the brain such as the thalamus, Globus pallidus and the subthalamic nucleus start to malfunction. Since these areas send signals to other parts of the brain, malfunctions in these small areas lead to progressive loss of muscle control, which leads to trembling of the limbs and head while at rest, stiffness, slowness and impaired balance. As symptoms worsen, it may become difficult to walk, talk, and complete simple tasks. The greater the loss of dopamine, the worse the movement-related symptoms. Dopamine loss is due to a combination of genetic and environmental factors. Impaired or lost reflexes can lead to posture instability which leads to loss of balance and falls. Stiffness and Rigidity of the limbs and trunk produce muscle aches and pain. Tremors in fingers, hands, arms, feet, legs, jaw, or head it worsen when an individual is excited, tired or stressed. Slowness of voluntary movement or Bradykinesia can affect the facial muscles and results in an expressionless appearance. Individuals with more progressive Parkinson's disease develops Parkinsonian gait, a distinctive shuffling walk with a hunched position. Individuals may freeze in mid-stride and appear to fall forward while walking. Parkinson’s Diseases Treatment IndiaProgressive loss of muscle control and continued damage to the brain can lead to secondary symptoms. Some of the secondary symptoms include : Stress, confusion, dementia, constipation, depression, urinary frequency/urgency, salivation difficulty, diminished sense of smell, increased sweating, male erectile dysfunction, skin problems, slowed, quieter speech, etc. Most individuals with Parkinson's disease are diagnosed when they are 60 years old or older, but early-onset Parkinson's disease also occurs. Difficult to diagnose, early symptoms may be dismissed as normal effects of aging. The Hoehn and Yahr scale and the Unified Parkinson's Disease Rating Scale are used for diagnosis. Tests are used to measure mental capacity, behavior, mood, daily living activities, and motor function. No blood or laboratory tests. Brain scans (CI, MRI) and laboratory tests are used to rule out other diseases. With proper treatment, most individuals with Parkinson's disease can lead long, productive lives for many years after diagnosis. There are different types of treatment available to reduce the progression of the disease. Dopamine agonists mimic the effects of dopamine in the brain. They are not as effective as levodopa, but they last longer. It is important that anyone considering this surgery be evaluated by a neurologist who is familiar with the procedures, with their expected benefits and with the potential risks. Deep Brain Stimulation (electrode connected with pulse generator stimulate the brain). 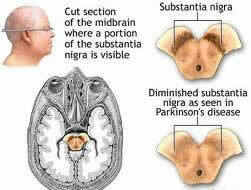 DBS is a neurological treatment for the symptoms of advanced Parkinson’s disease. Exercise, physical therapy or Psychotherapy improves mobility, flexibility, balance and body strength, strengthening of muscles to swallow or speak better, improvement of emotional well-being and other general therapies. Feldenkrais Method, Alexander Technique can help for improving gait and mobility. Massage therapy, Yoga, Tai Chi, Hypnosis, Acupuncture, etc. can give mild benefits. Benefits of Parkinson’s Disease Treatment Medications can help manage problems with walking, movement and tremor by increasing the brain's supply of dopamine.Deep brain stimulation safely and effectively manages some of the most disabling motor symptoms of Parkinson’s disease and essential tremor. The procedure enables people with some movement disorders and related symptoms to have greater control over their movements, allowing them to have more freedom to live and work.Physical therapy may be advisable and can help improve your mobility, range of motion and muscle tone. A speech therapist or speech pathologist can improve problems with speaking and swallowing. Although speech therapy involves a large time commitment (sometimes several visits per week), the benefits will be impressive. In the long run, it will potentially improve all your social interactions to boot. While conventional treatments generally focus on symptoms, a range of other practices and therapies focus on overall well-being or different components of it and have benefited a lot of patients. Examples include regular exercise, complementary therapies and nutrition supplements. The side effects of dopamine agonists include hallucinations, sleepiness, water retention and low blood pressure when standing. These medications may also increase your risk of compulsive behaviors such as hypersexuality, compulsive gambling and compulsive overeating. If you are taking these medications and start behaving in a way that's out of character for you, talk to your doctor. 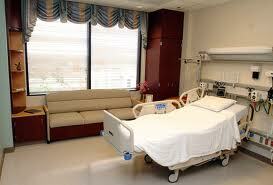 India is widely known in the world for its world-class medical and health care services. This has made India world’s number one medical tourism destination People are attracted towards the best quality of healthcare services, accredited medical facilities, and internationally trained and qualified health care professionals and travel to India for their health care needs. The services encompass everything from primary health check ups to major surgical procedures. The hospitals of India offers complete treatment of Parkinson’s disease. India has the most sophisticated hospitals of the world which have hi-tech equipments, state-of-the-art comforts and facilities, skilled doctors and compassionate, dedicated nurses. Complimentary therapies like, Acupuncture, Alexander technique, Aromatherapy, Herbal medicine, Naturopathy, Reiki, Yoga, Reflexology, massage therapy, etc. are provided by proffessionals who are extremely proficient in their field. India is the most sought-after and cost effective medical tourism destination of the world. The cost of most surgeries and medical treatments in India is only a fraction of their cost in developed countries. This applies to treatment and surgeries associated with Parkinson’s disease. The average cost of deep brain stimulation surgery in USA is $50,000. Medical treatment costs in India are lower by at least 50-80% when compared to similar procedures in North America and the UK. Travel and accommodation expenses are also very reasonable and economical. India also offers plenty of complementary and supportive therapy at highly competitive prices.